Virtual Business Offices have been growing in popularity exponentially for the past few decades. If you have any reasons to believe that a physical office is not for you, then here is a solution perfect for you. Welcome to the modern world where convenience has never been so… convenient! It is unknown who originally coined the term “virtual office”, but there are two feasible possibilities. One being that in 1989, Ralph Gregory from Boulder, Colorado created The Virtual Office Inc. He built the business to work from home so that he could spend time with his children. However, there is record from 1982 in an article that a John Markoff mentioned “virtual offices”. 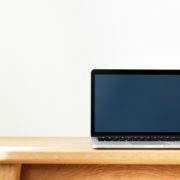 Markoff wrote “A virtual office would be built around a portable personal computer and local area network that would expand working horizons dramatically”. Regardless of which is the true origin story, the idea of virtual offices have been around for over 30 years. Working away from the site would begin the journey towards convenience for commuters. As time goes on, cities become overwhelmingly populated. This causes difficulty travelling everyday to get to work. Sometimes a simple 20 minute commute to work can turn into 60 minutes if the traffic is bad enough. Perhaps this isn’t enough to convince you of the convenience of virtual offices. Imagine you are located several miles away from your business to the point that commuting to work just isn’t a possibility, and there is no option of moving closer to the location. A virtual office is just what you need. This allows you to work from home for a business that may be across the country should that be the case. In the present day, virtual offices are very common. Due to overpopulation in some cities, commuting is quickly going out of style. Residents are constantly searching for ways to simplify the travel. Virtual offices have risen to popularity because of this issue of inconvenience. 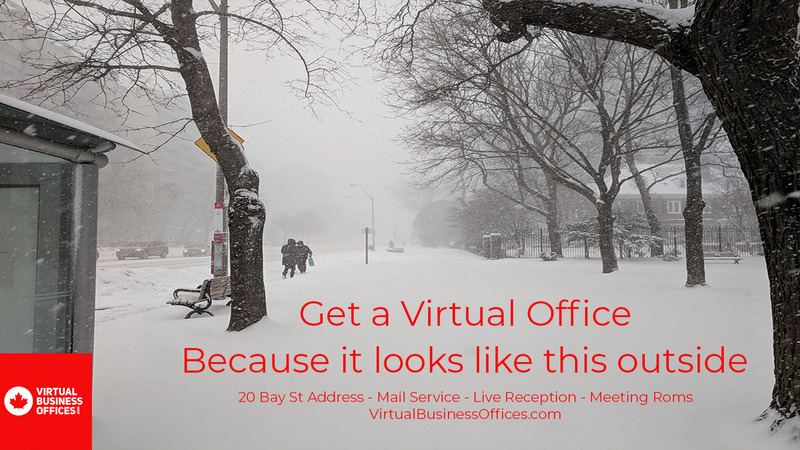 It is not too late to get your virtual office! Here at The Rostie Group, we have many options for you to select from. Check out our web site here! Try it out and see how you can take care of business from the comfort of your home. Keep your business up to date with modern trends in order to compete! Don’t forget that a virtual office can benefit your clients and business partners as well. Making you look more professional and reliable as an employee or employer. Running a franchise, while having your home as your business address may not represent the best side of your business. However, a virtual office with a premier address in Toronto shows others that you mean business. Having a virtual office allows you to avoid all of the daily annoyances of commuting. Nobody enjoys an hour long trip where you find yourself standing squished between a wall and a group of sweaty bodies on the subway. Working from home allows you to stay inside; this way you not only save energy, but you also save a significant amount of time. This way you can yell at your employees for slacking off from the comfort of your own home! Simply dial the number of your franchise’s location and commence shouting. How exciting! Working through a virtual office saves the cost of renting out a physical space elsewhere. Consequently, you will find yourself gradually saving money since you will not be factoring in a cost of rent. If you are adamant on a space downtown, you will find the cost of rent is not very forgiving. Therefore, it would be most beneficial to search for smaller spaces in order to avoid spending a large amount for an extra 50 square feet. Not only is the rent of the physical office going to rack up a large bill every month, but you must also consider the cost of commuting. Whether you take public transit or you drive yourself, you will find a significant chunk of your paycheck going towards the trip to work every day. 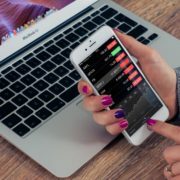 As briefly mentioned earlier, this idea of a virtual office is essentially the concept of saving a small piece of each paycheck and putting it into a savings account. Rather than this, you are saving pieces of your paycheck by eliminating the cost of commute. 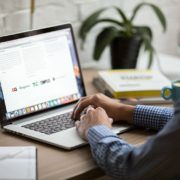 Overall, it is simply much more cost-effective to use a virtual office rather than sacrifice an arm and a leg for a physical office in an expensive neighbourhood. If you have this opportunity for a virtual office, the only downside is if you wished to share a workspace with your coworkers. A virtual office gives an impression that you are working for a professional business in a prestigious location. Rather than having your cell phone number as the main form of contact and an unfamiliar address, a virtual office allows you to use an address that suggests your franchise is legitimate and successful. Imagine having your business card include an address for Bay Street. This address will be easily recognized. So if you’re ready to take your franchise business to the next step, then take a look at our available packages and start your Virtual Office today! In some industries, it can be difficult to find time to enjoy the holidays. We all want to visit our friends and family, but you are needed at work. However there is a way to take the time you need for the holidays while still continuing to be productive. The main issue with taking the holidays off is that not everyone has the same schedule. Not every country celebrates at the same time and the same events, so while you may be preparing to sit with your family about to dig in to a delicious turkey, somewhere else, it is business as usual. And they are waiting for emails and phone calls from you. If you’re a business owner, you may have reservations about keeping your employees around for the holidays. They deserve the time off and to be with their loved ones for the season. Happy workers are productive workers, and you know that denying them that opportunity will not be beneficial to their long term prospects with you. At the same time, you need your employees to stay active and continue to work through that season. The solution to this is simple. You can set up a Virtual Office for your employees. So they can continue to work, while they are away for the holidays. By running your business from a Virtual Office, you get all the same benefits as a physical location; an address for mail and a place to meet your team and your clients. But you also get the benefits of remote working, such as flexible schedules, avoiding commutes, and massive rent prices. 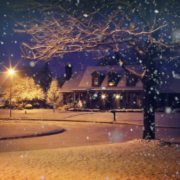 And with the rapid increases in technology, faster and more reliable internet connections, and more work than ever before being done on a smartphone, there is no reason why your employees can’t be with their families for the holidays. So take a look at our available packages and select one that fits your budget, and allows your employees and yourself to take the time they need for the holidays. 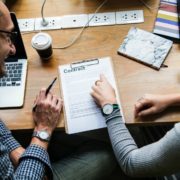 If you’re an independent recruiter you know the challenges of the industry – finding clients, finding candidates – let-alone over-coming “head-hunter” stereotypes. It’s a challenging job and your focus is on filling your roles. As an independent recruiter you may also have the benefits/challenges of working from a home office. The biggest drawback, in my view, is the lack of professional meeting space – coffee shops just don’t cut it – and trying to be your own receptionist and meeting coordinator. There are also ongoing administrative aspects to your job that require your attention. You have to organize your books, make sure you have insurance, maintain your office, remember your lease, and even something as simple as getting chairs and tables. 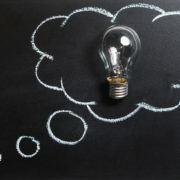 None of these things on their own make you money, but they still have to be considered for the health of your business. More importantly, however, they take your focus away from where it needs to be. 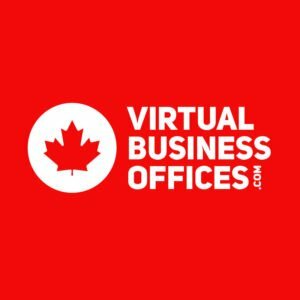 If you’re feeling the stress of your home-based career you may want to consider starting a virtual package with Virtual Business Offices. As a virtual tenant you will be able to provide your clients and candidates with a prestigious Bay Street address in Toronto’s business district, have access to meeting space and have your calls answered by a live receptionist – they’ll even take your messages and pass them along, so you don’t miss any opportunities! Our services extend to bank runs, plane and hotel reservations and, calling a taxi or limo to pick up your clients, and if you’re meeting them at our facility, full catering which can be ordered through our online portal. Please give us a call or visit our website to find out how we can help you succeed. A Virtual Mailbox is exactly what the name implies: A Mailbox that you can redirect your mail to. Whether that may be simple letters or packages, you can trust that they will go to a physical location, where they can be tracked and delivered to. They go beyond the standard PO box. They have live people collecting and sorting your mail, and notifying you when letters arrive that you need to run your business smoothly and effectively. 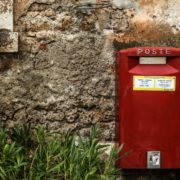 Furthermore, the beauty of a Virtual Mailbox service is that they are located Worldwide, and you can use it to establish addresses in any region, to help your local customers reach you more effectively. Virtual Mailboxes addresses are commonly found in premier addresses, like Bay Street in Toronto. They show the world that you mean business, and that your home address isn’t the place to receive mail and clients. And of course, as your business grows, that premier address becomes more and more important. Impressions matter a lot, probably more so than they should. But as long as you know that, you can take advantage of that fact. Make that address the corner stone of your business. Lead your clients and customers to an address they can trust, and more importantly, send their mail to a place they know won’t be neglected. It can be stressful for a client to not know whether their documents or cheques will arrive safely. In a residential address, there is always the risk of theft, not to mention you may not be home to receive and sign for important mail. For a business just starting up, one missing cheque can be the difference between continuous growth, and a shut down. To have all your hard work be for naught just because you decided that your home address was “good enough”. Thankfully, you don’t have to go through that. Take a look at our virtual plans and get your Virtual Mailbox address on Bay Street in Toronto today! You have questions, we have answers. We know that sometimes it’s hard to find what you’re looking for, especially in the world of virtual offices. So here at Virtual Business Offices, we’ve decided to provide some quick answers for you. A virtual office is an offsite physical location that offers all the amenities that you need when you’re running your own office. A reception to greet your guests, live reception services that answer your calls in your business’ name, and a physical address to receive and forward your email and packages from. 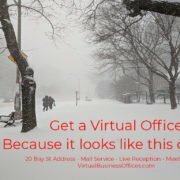 Why do I need a Virtual Office? Depending on the type of business you have, it is essential. If your business “runs from a laptop”, a virtual office can give you that permanent physical location that you need to manage that business. You’ll also be able to receive guests, when you’re not available personally. When you’re starting your business, most of your available capital will have to be re-invested into the business. And as mentioned above, depending on the type of your business, you may not be able to invest in a prime location. The costs of setting up your location, hiring and training reception staff, running Internet, phones, desks, computers. Those costs add up fast, and that eats into your profits as surely as if you were burning money. A Virtual Office can help save you money by taking care of all those unnecessary costs. You can focus on what’s truly important, growing your business – and re-investing your profits, rather than worrying about early debt. All the services you need to get your business started, and getting it running. Professional staff to answer the phone and give your clients the information they need. Additionally, you’ll need mail reception and forwarding, as well as courier services – we have that covered too. And we personally offer coworking spots and meeting rooms that you can use to meet your clients or take calls anytime you need to. Forget the coffee shop experience, and put a truly professional face on your business! So take a look at our available packages and start your Virtual Service today!